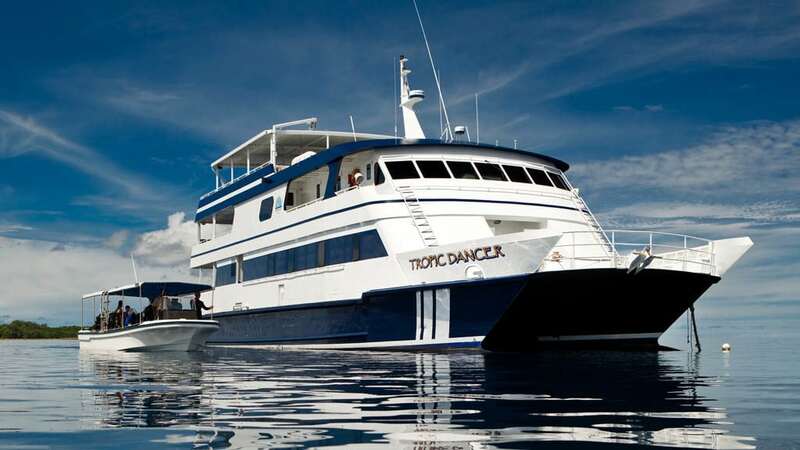 The Rock Islands Aggressor Liveaboard (formerly known as Tropic Dancer) offers mainly 7-night cruises with a few special 10, 12 and 14-night cruises scheduled throughout the year with itineraries around the best sites in Palau. 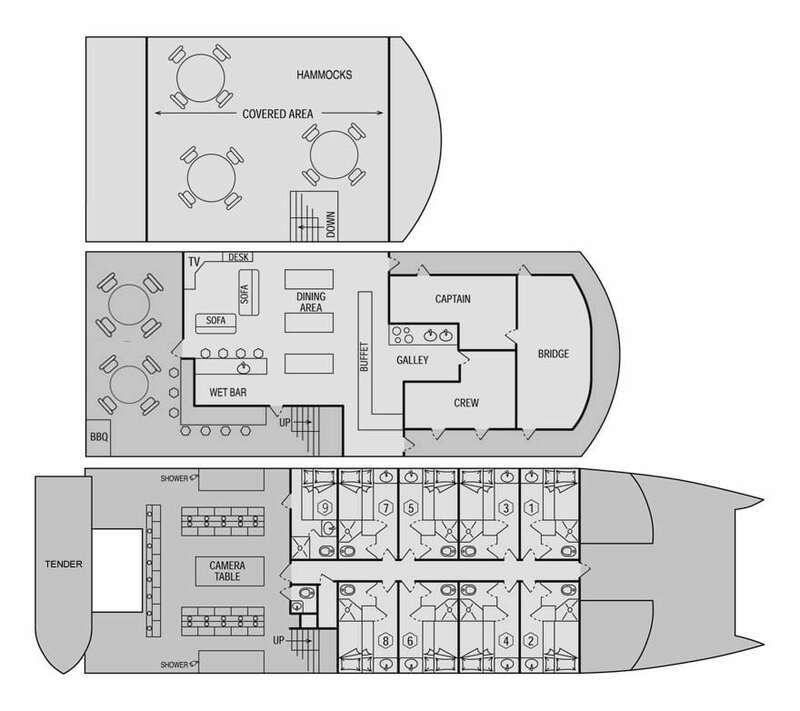 The well-appointed steel hulled catamaran liveaboard sleeps 18 passengers in 9 comfortable double/twin staterooms. All cabins are air-conditioned, and the en-suite bathrooms are equipped with hairdryers. Linen is changed mid-week and fresh towels are available as required. Bathrobes and some toiletries are also available. Rock Islands Aggressor is 32m (105 ft.) long and 6m (28 ft.) wide with three spacious decks, including a partially covered sun deck with chaise lounges and a hot tub. 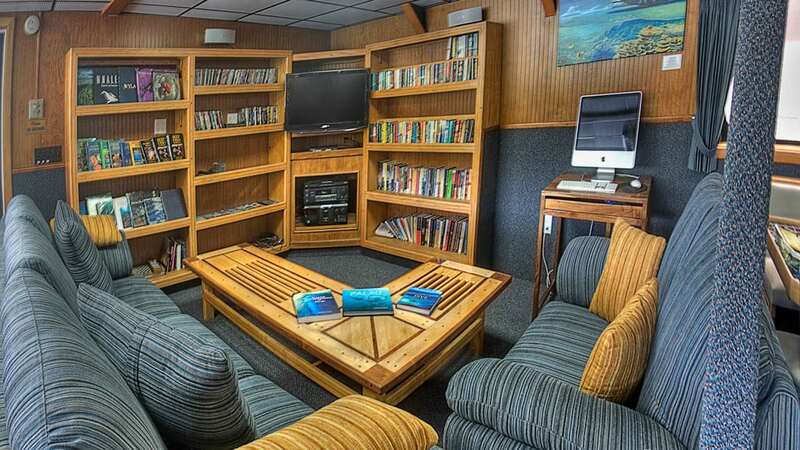 The main saloon features an entertainment centre with TV, CDs, DVDs and a comprehensive library. 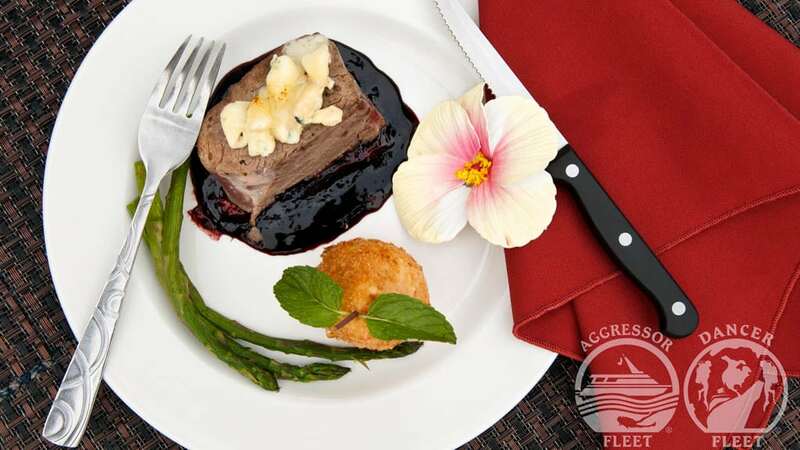 Breakfast is cooked to order; buffet lunch and an elegant meal at dinner with tableside service are served daily in addition to fresh mid-morning and mid-afternoon snacks. Beverages (alcoholic and non-alcoholic) are complimentary while onboard. Rock Islands Aggressor itineraries depart from Koror. Airport and hotel transfers are available for an extra charge. 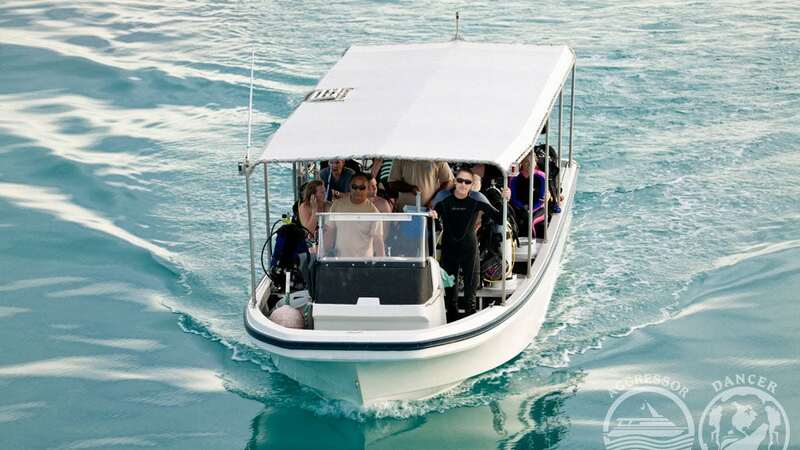 All dives are made from the 18-passenger dive tender, which is boarded at deck level, then lowered into the water. Each diver has their own tank rack and seat on the tender. After completing the dive, the tender cruises onto the lift and returns to deck level where divers safely disembark and can rinse off under the freshwater showers on the dive deck. The roomy dive deck is complete with a dive briefing area, large camera table with low-pressure air hoses and camera rinse tank. A full range of photo and video equipment is available for hire on board. 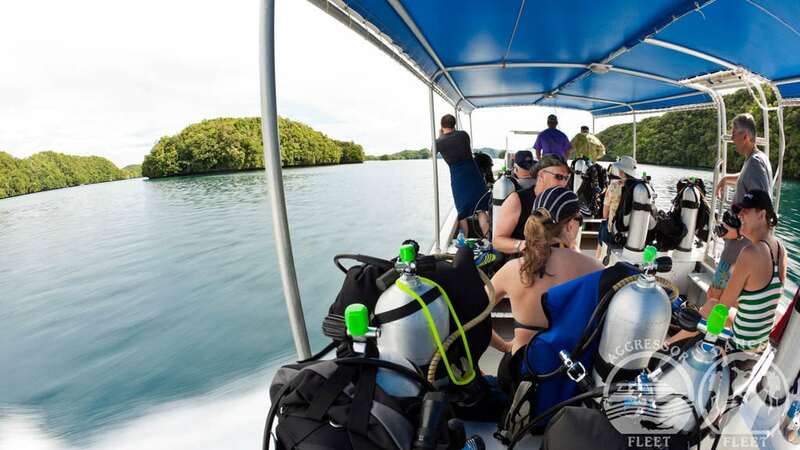 The Rock Island Aggressor also offers a variety of dive courses including Nitrox certification – which is well worth considering given the multiple, relatively dives available in Palau. From warm water lagoons to dramatic drop-offs, the Palau archipelago that surrounds and protects the famed mushroom-shaped Rock Islands is known as one of the top dive destinations in the world. 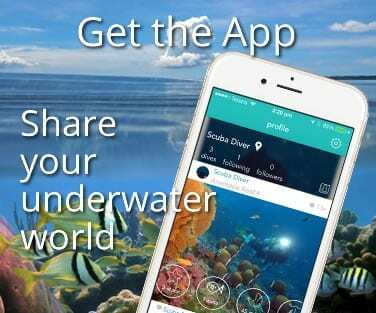 Palau is ideally suited for the more adventurous diver. 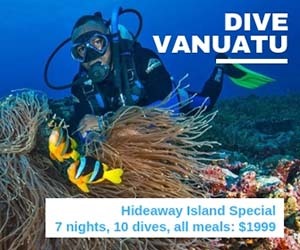 You can expect mostly wall and drift diving with visibility ranging from 30m (90ft) to in excess of 60m (200ft). 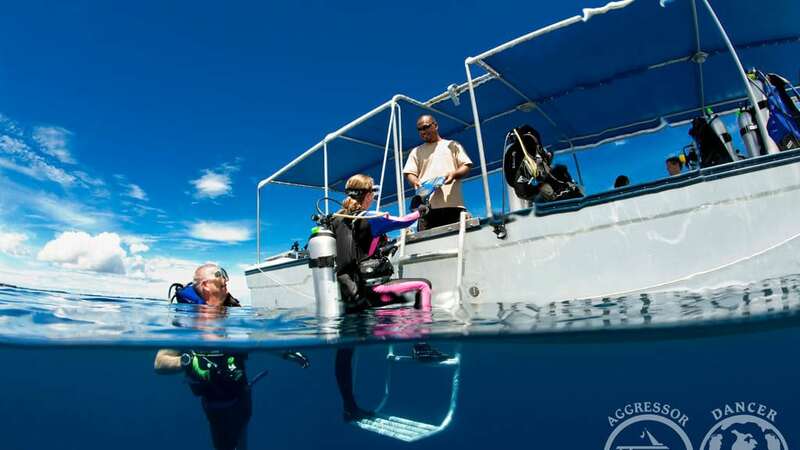 The Rock Islands Aggressor explores spectacular walls along the barrier reef, including such favourites as Blue Corner, Ngemelis Drop-Off and German Channel. 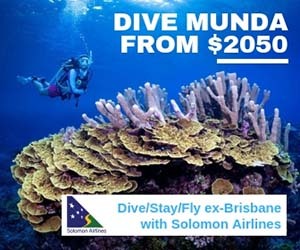 Enjoy the thrill of drift diving with schooling sharks, the beauty of healthy hard and soft corals, the tranquillity of Jellyfish Lake, historic WWII wrecks and the vibrant fish life. Palau is one of the few destinations where sharks and manta rays are guaranteed to be seen up close. 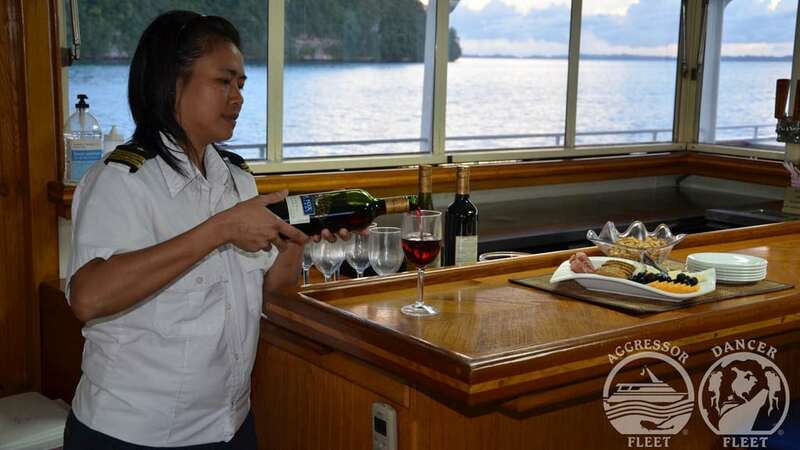 Rock Islands Aggressor adds another luxury liveaboard to Micronesia and brings the well-known excellent standards of service and onboard amenities of the Aggressor Fleet to these waters.